For the Glazed Donut Liqueur article I posted recently, I looked into some of the companies that make a living hawking sugary pastry treats. Now that we’ve entered vanilla country, said to be the most popular ice cream flavour around the world, I’d thought we should delve into the ice cream biz and some of its biggest players. Let’s hope we can get through before out treats melt! Mrs. Sip and I are fans of the Blizzard, which was introduced in 1985 – 45 years after the chain opened. 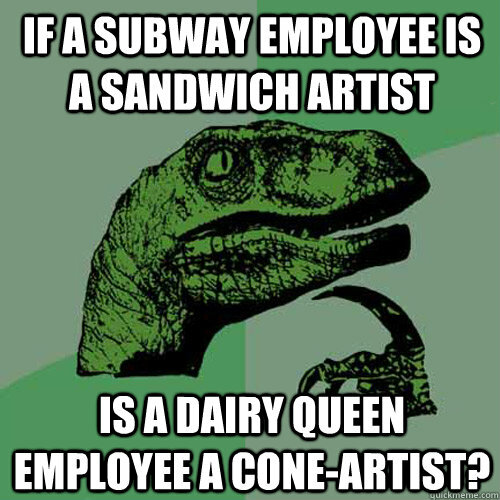 I always feel kind of bad for Dairy Queen, though. Try as they might, the chain will never be viewed as a place for food and will largely remain a place people go for dessert after eating elsewhere. I’d still love to see Dairy Queen and Burger King enter into a partnership, providing customers with a complete meal on the cheap. I had almost forgotten that Dennis the Menace was once the chain’s spokestoon, a role the character held for 30 years. Launched by childhood friends Ben Cohen and Jerry Greenfield, the two opened their first ice cream parlour in 1978. To celebrate their first anniversary, Ben and Jerry hosted their first ever ‘Free Cone Day’, which has become an annual staple of the company. Some of Ben & Jerry’s creations have capitalized on icons of pop culture, such as Stephen Colbert and the Stephen Colbert’s AmeriCone Dream release. Ben and Jerry are no longer part of the day-to-day operation of the company they founded, but still remain the faces of the brand. 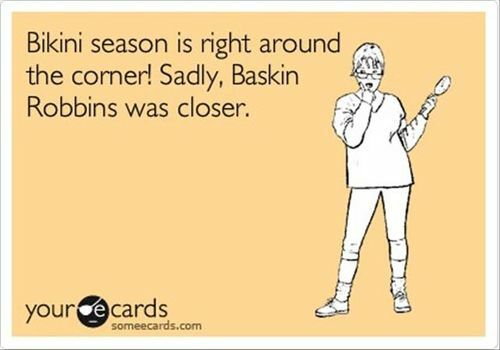 Boasting 31 flavours, allowing customers to have a different taste each day of the month, Baskin-Robbins is the world’s largest ice cream chain. It was started in 1945 by the team of Burt Baskin and Irv Robbins and in the seven decades since they first opened, the company has created and carried over 1,000 flavours. Baskin and Robbins believed that customers should be able to try as many flavours as they wanted before committing for a full cone or cup and that’s why the chain has their famous mini pink spoons. I combine these two companies because they are both relatively new to the ice cream game and they deliver similar signature products – ice cream combined with various toppings for a delicious result. While Cold Stone has enjoyed growth in recent years, thanks to partnering with other franchises, such as Tim Hortons, Soup Kitchen International, and Rocky Mountain Chocolate Factory, Marble Slab is actually five years old, having been founded in 1983. Today, Cold Stone has close to double the outlets Marble Slab does, but Marble Slab has expanded more into the international market, than its doppelganger. The ‘Ice Cream of the Future’ (little pebble-like ice cream balls) is incredibly fun to eat… and there are actually about 2,000 of them in a 5oz cup. Dippin’ Dots are created by flash freezing ice cream in liquid nitrogen and was invented by microbiologist Curt Jones in 1987. Going with today’s featured flavour, the first taste Jones invented was vanilla. Since then, numerous flavours have been added to the company’s line-up, including mint chocolate, banana split, and the franchise’s most popular option: cookies and crème. No wonder they’ve found their way to being served around the world! In closing, we have to ask: Is vanilla really that boring? Sure, we give things that aren’t so flashy the moniker of being “vanilla,” but there’s actually a really nice flavour to the stuff. And is any ingredient that can be combined with whiskey really that boring? This entry was posted in Crazy & Classic Cocktails and tagged 31 Flavors, Baskin-Robbins, Ben & Jerry’s, Blizzard, Cold Stone Creamery, Dennis the Menace, Dippin’ Dots, Grapefruit Bitters, grapefruit juice, Grapefruit Slice, Ice Cream Chains, Ice Cream of the Future, Marble Slab Creamery, simple syrup, The Turtle Dove, Vanilla, Wiser’s Vanilla Spiced Whiskey by Daniel Wilson. Bookmark the permalink.